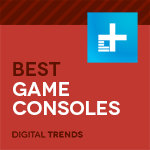 It’s a great time to shop for the best gaming console. There are several choices in improved hardware, such as Sony’s PS4 Pro, Microsoft’s Xbox One X, and sub-platforms like PlayStation VR. If you’re on a budget, the original versions of these consoles are now sold at more affordable prices. Of course, the war between Sony, Microsoft, and Nintendo carries on. This console generation is quite competitive, and there are reasons to pick every one of these — but we think Sony’s PlayStation 4 Pro is the best gaming console you can buy in 2019. Why you should buy this: It’s the best version of the most popular console and has the highest number of high-fidelity games. A very large majority of both the PlayStation 4 and Xbox One libraries are available on both platforms. Though both platforms have popular exclusive franchises, the PlayStation 4 (Pro or standard) sees more exclusive games each year. The PS4 also has access to a small number of less well-known indie games and niche titles, such as Japanese role-playing games, that the Xbox One does not. That’s the main reason for our pick. The PS4 has the best games, and the PS4 Pro makes them look as stunning as possible. The Xbox One X is technically even more powerful — but it lacks must-have exclusives. There’s just not as much to play. Picking PlayStation 4 also opens the door for you to pick up PlayStation VR, which, as we’ve noted, is the most affordable premium VR headset available. Microsoft, meanwhile, has confirmed that VR support is not coming to the Xbox One X. While it can be difficult to take advantage of the PlayStation 4 Pro’s advanced features, namely HDR support, the improvements it provides to even unoptimized games make it the most technically impressive way to play the largest number of games on a console. Most major games offer some form of support for the system, whether it be improved framerate, 4K resolution, HDR support, or all three. Why you should buy this: With a 4K Blu-ray player and HDR, it offers access to both great new games and high-resolution video. Who it’s for: Players who want to play games and watch movies at the highest possible image quality. For those of us who haven’t made the jump to 4K, both the PlayStation 4 and Xbox One S are great consoles with large game libraries. You will be able to play the vast majority of new and upcoming games, including a few exclusive franchises like Halo, Gears of War, and Forza. Plus, if you are (or were) an Xbox 360 owner, a very large number of last-gen console’s games are now compatible with the Xbox One, which could expand your game library and keep at least some of your old games in rotation. Why you should buy this: You want a full console gaming experience, but on the go. While it doesn’t quite have the oomph to play the latest 4K, 60 fps releases for Xbox One or PS4, the Switch can play Doom (2016) at a smooth 30 fps anywhere you want to, and that’s more than good enough for a lot of gamers. In addition to contemporary titles like the Wolfenstein II port, the Switch has also proved itself as a fantastic venue for reviving modern classics, such as Skyrim, L.A. Noire, and Dark Souls Remastered. More than just a clearance house for lightly aged AAA titles, the Switch also offers an ever-growing catalog of fantastic first-party games like Super Mario Odyssey and The Legend of Zelda: Breath of the Wild, as well as excellent indies such as Stardew Valley, Celeste, and Dead Cells. Add in some forward-looking experiments with Nintendo Labo, and the Switch is looking like a well-rounded platform with something unique to offer everyone. Most recently, Nintendo even announced a virtual reality kit built from Labo, letting younger players enjoy the world of VR while also creating new gadgets to use on the system. It makes use of the Switch’s built-in screen rather than a dedicated headset, making it one of the most “Nintendo” products we’ve seen in a long time. The Switch is also a great companion console for people who already own a PS4 Pro or Xbox One X. It can do things its competitors can’t and offers many appealing titles that will never appear on a PlayStation or Xbox. Why you should buy this: It has 20 of the best games ever made for only $80. Who it’s for: Nintendo fans old and new, and those who grew up with video games. The 16-bit era saw Nintendo at the peak of its creativity, releasing popular acclaimed games like The Legend of Zelda: A Link to the Past and Super Metroid alongside cult hits like Earthbound. Third-party companies didn’t take a backseat, with Square Enix’ Final Fantasy VI and Konami’s Super Castlevania IV among the best games of the entire decade. With the plug-and-play SNES Classic Edition, you can experience all over your favorite classic Super Nintendo games as you remembered them. There’s even a CRT filter option mimicking the look of your old television. With the addition of a save-state feature, playing old Nintendo games on the SNES Classic is significantly less frustrating than it was 25 years ago, and when you’re ready to sit down and game with a buddy, classics like Super Mario Kart and Street Fighter II Turbo: Hyper Fighting give you a chance to compete for bragging rights. The SNES Classic Edition is also the only way to play Star Fox 2, a game Nintendo canceled just before its original release date. To unlock it, you just need to beat the first level of the original Star Fox, though it will be very tough to pull yourself away from that game once you start playing. Choosing the best gaming console in 2019 is, honestly, more philosophical than technical. Since gaming PCs currently produce the highest framerate and highest resolution, picking the best gaming console comes down to a number of factors including its design, features, and game library. We do test them, of course. We’ve spent a lot of time playing video games on these consoles and even more thinking about what they can do. We make sure that everything we like about these products works and delivers like advertised. That includes playing all kinds of games, checking the quality of the internet connectivity, factoring in quality and quantity of exclusives, and checking if developers are currently making games for the platform. Two of our recommendations, the PlayStation 4 Pro and the Xbox One X, support high-resolution gaming that can take advantage of emerging display standards, 4K and High Dynamic Range (HDR). Most people, aside from enthusiastic A/V fans, do not have a 4K TV yet, and fewer still have HDR, which is currently broken down into some sub-standards. Given that there’s a relatively small selection of games for each console that take full advantage of these features, we currently do not recommend that you buy a new TV for the sake of high-resolution console gaming. Currently, no game console requires you to own a 4K or HDR-compatible TV, so you can buy that new console and hold off on buying the TV until you’ve done more research, found games you feel are worth upgrading for, or are otherwise ready to commit.